Jonny Wrate of Roads and Kingdoms Magazine writes the article for the year for me! 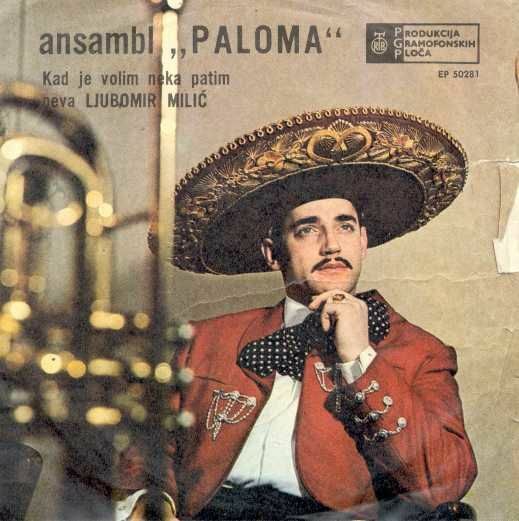 Many years ago, while living in Macedonia, my friends and I would discuss music, and two, Igor and Goran, turned me on to the fact that Mexican music was actually a big deal in the former Yugoslavia. It was the most amusing thing I had ever heard, as I grew up with a lot of boleros in my house (Los Panchos, Los Tres Ases, and others, for example). It blew my mind that such a scene would exist, but they were emphatic in telling me that such a creature DID indeed exist. They even showed me record covers like the one above, recorded by the ever-tacky, ever awesome Ljubomir Milić. Wrate’s back story really does a nice job of filling in the history of a very unique time in my beloved Balkans which ties into the music I loved as a child.